Abel EA . Immunosuppressant and cytotoxic drugs: unapproved uses or indications. Clin Dermatol 18:95–101. Arrington DM, McDiarmid MA . Comprehensive program for handling hazardous drugs. Am J Hosp Pharm 50:1170–1174. ASHP (American Society of Hospital Pharmacists) . 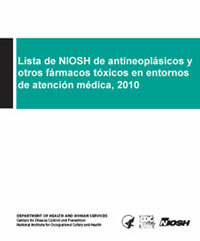 ASHP technical assistance bulletin on handling cytotoxic and hazardous drugs. Am J Hosp Pharm 47:1033–1049. ASHP/AHFS DI (American Hospital Formulary Service Drug Information) . AHFS drug information online updatesExternal [www.ahfsdruginformation.com]. Baker GL, Kahl LE, Zee BC, Stolzer BL, Agarwal AK, Medsger TA Jr . Malignancy following treatment of rheumatoid arthritis with cyclophosphamide. Long-term case-control follow-up study. Am J Med 83(1):1–9. Chabner BA, Allegra CJ, Curt GA, Calabresi P . Antineoplastic agents. In: Hardman JG, Limbird LE, eds. Goodman and Gilman’s the pharmacological basis of therapeutics. 9th ed. New York: McGraw-Hill, pp. 1233–1287. IARC . IARC monographs on the evaluation of the carcinogenic risk of chemicals to humansExternal. Lyons, France: World Health Organization, International Agency for Research on Cancer. [www.iarc.fr]. Date accessed: March 2010. McDiarmid MA, Gurley HT, Arrington D . Pharmaceuticals as hospital hazards: managing the risks. J Occup Med 33(2):155–158. Moody DJ, Kagan J, Liao D, Ellison GW, Myers LW . Administration of monthly-pulse cyclophosphamide in multiple sclerosis patients. Effects of long-term treatment on immunologic parameters. J Neuroimmunol 14(2):161–173. Naumann BD, Sargent EV . Setting occupational exposure limits for pharmaceuticals. Occup Med: State of the Art Rev 12(1):67–80. Las menciones que se hagan de cualquier empresa o producto no representan el respaldo del Instituto Nacional para la Seguridad y Salud Ocupacional (NIOSH). Además, las referencias a sitios web fuera de NIOSH no constituyen un respaldo de NIOSH a las organizaciones patrocinadoras ni a sus programas o productos. Más aún, NIOSH no es responsable del contenido de estos sitios web.